Your acne bumps and lesions may be long gone, but the scars it left can still leave you feeling uncomfortable about the appearance of your skin. Here at Foothill Dermatology Medical Center in both Rancho Cucamonga and Glendora, CA, we have a variety of ways to treat acne scars, all of which are designed to help you feel more comfortable in your own skin! Read on to learn about how acne scars form and what we can do to help minimize their appearance. 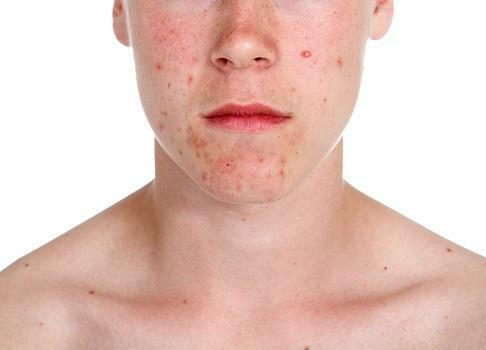 Acne lesions can leave scars if the affected pores in the skin are expanded beyond their capacity. The body attempts to heal this damage but the fibers of collagen and the new skin cells aren't as uniform as they were before, leading to depressed areas. Generally, the more severe the acne, the more likely it is to leave scars when it's healed. One of the ways that we help our patients manage acne scarring is through dermabrasion, a resurfacing treatment that buffs away the damaged top layers of the skin, thus allowing the skin to heal more evenly and with a consistent skin tone. We also use a fractional laser treatment that offers similar results; the laser stimulates the body to produce more collagen that will help to fill in the scars and rejuvenate the neighboring skin. Did you know that your deep acne scars can be surgically removed? The trained dermatologists at our Rancho Cucamonga and Glendora offices can actually excise (i.e. remove) individual scars and cosmetically close them with a tiny stitch, controlling the way your skin heals and leaving behind a much less noticeable mark. We also offer fat transfer, which uses fat cells from elsewhere on your body to be injected into the scarred areas, building up the skin to smooth over the blemishes. Don't let acne scars dictate how you feel about your skin! Contact Foothill Dermatology Medical Center in either Rancho Cucamonga and Glendora, CA, to schedule a consultation with one of our dermatology professionals today! Dial (909) 256-8950 for Rancho Cucamonga, or (626) 852-3376 for Glendora.